Folks, I just threw a heckuva party. Adam Sandler wasn’t kidding when he called Chanukah “eight crazy nights.” And last night, I had all of our relatives (and believe me, there are a ton of them) over for our annual family party. And it was so much fun. But I think I’m going to be recovering for at least a week. For one thing, children were literally pouring out of every floorboard in my house. When did I get so lucky? I have my own brood, and then some super-delightful nieces and nephews, cousins…they’re everywhere. And all but one range in age between 7 and 2. At one point, I actually saw a latke plastered to the ceiling. Kids in college don’t get this wild. There was an awful lot of sugar to keep everyone going, of course. While all the offerings were pretty popular (including my massive tray of Krispy Kreme donuts), these monster cookies really went. How could they not? 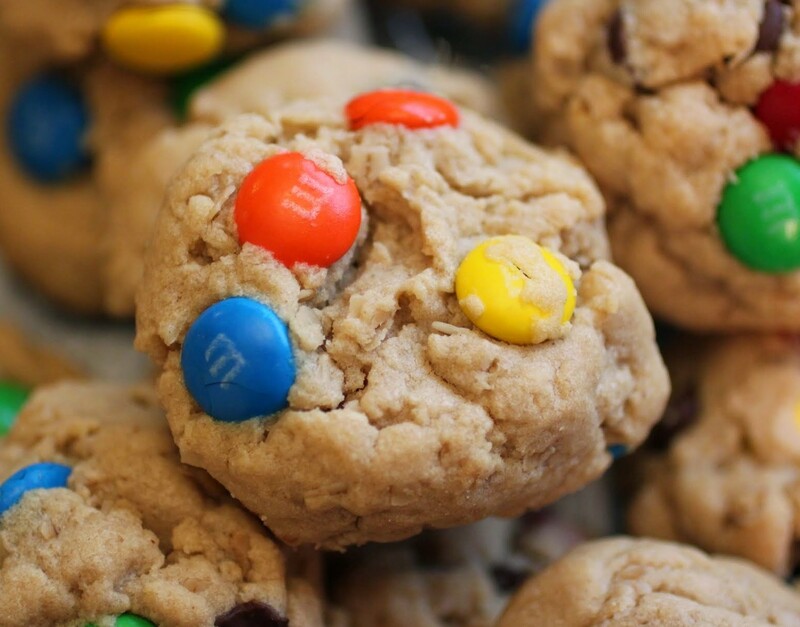 Their peanut buttery goodness is accented with M & Ms and chocolate chips! 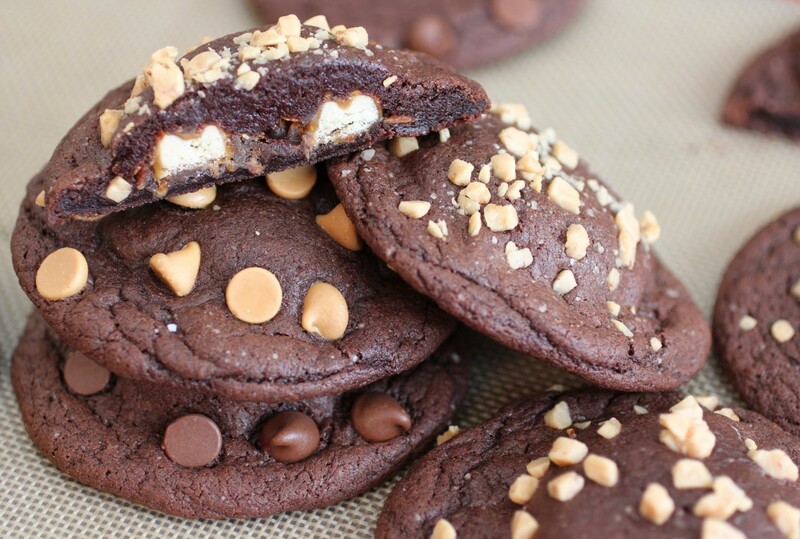 These cookies are super buttery. 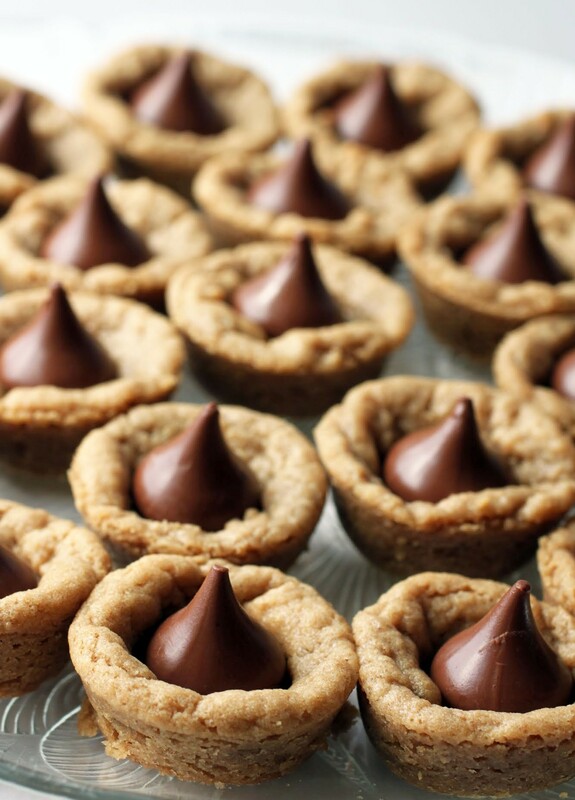 Usually, peanut butter overwhelms every other flavor in a baked good. Not so with these. 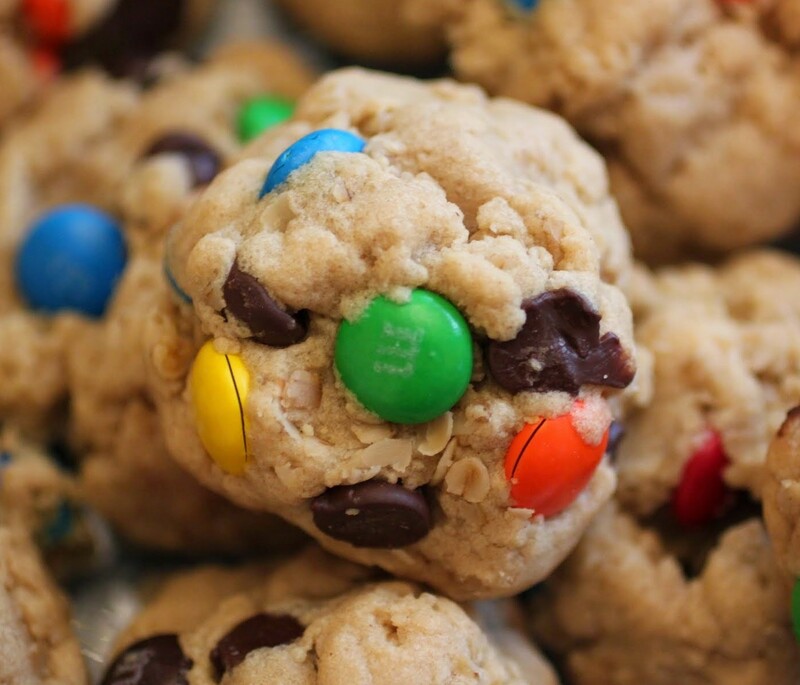 Like most monster cookies, the dough here contains oats, which gives some great balance to the cookie. It makes for a flaky texture, too. I’m a real sucker for a thick, buttery, flaky cookie. While the addition of oats means you don’t have to chill the dough, I always do. It’s up to you. Your cookies won’t spread. I’m just a creature of habit. Plus, I made this dough before heading to a different party (oh, my glamorous life), so the dough had to wait for me somewhere! Whether or not you have eight crazy nights to celebrate, these cookies are always a welcome addition to your revels. Just be sure to snag one or two before your party starts, because they won’t last. It’s a scientific certainty! Preheat the oven to 350. Line 2 cookie sheets with parchment paper or a silicone baking mat. In the bowl of a stand mixer, beat the butter with both sugars until smooth and fluffy. Add the peanut butter and mix again. Add the egg and vanilla, beating once more. Mix in the baking soda. Slowly add the flour, mixing until just combined. 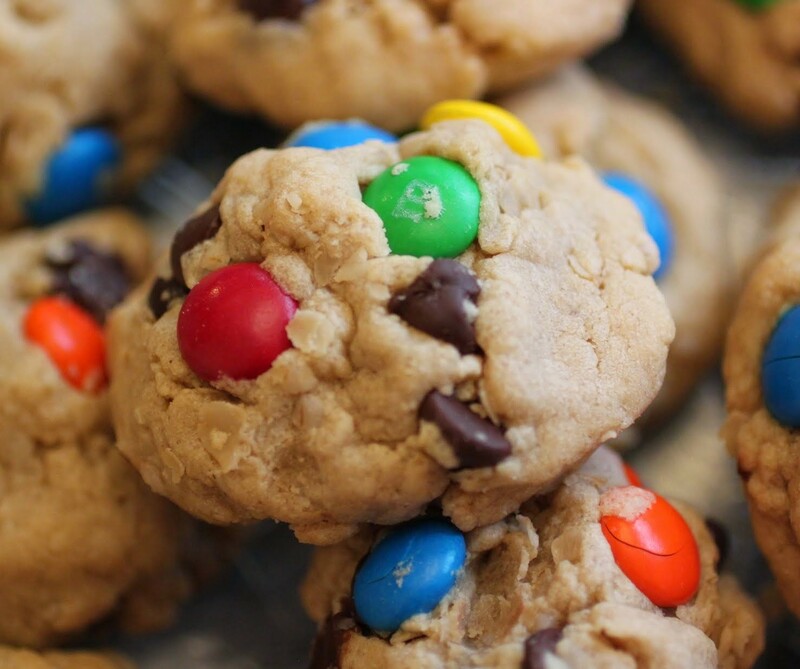 By hand, mix in the quick oats, and then fold in the M & Ms and chocolate chips. If you're worried about your cookies spreading, refrigerate for about an hour. However, these cookies don't tend to spread out. Roll the dough into balls and place them 2 inches apart on the cookie sheets. Bake for 10 minutes. Sounds like you had a great party, Mir! And I’m sure the kids and fun, too. I’m loving these monster cookies! I haven’t had these in forever and they look so delicious! I love the oats in here, gives it such a great texture. Yum! 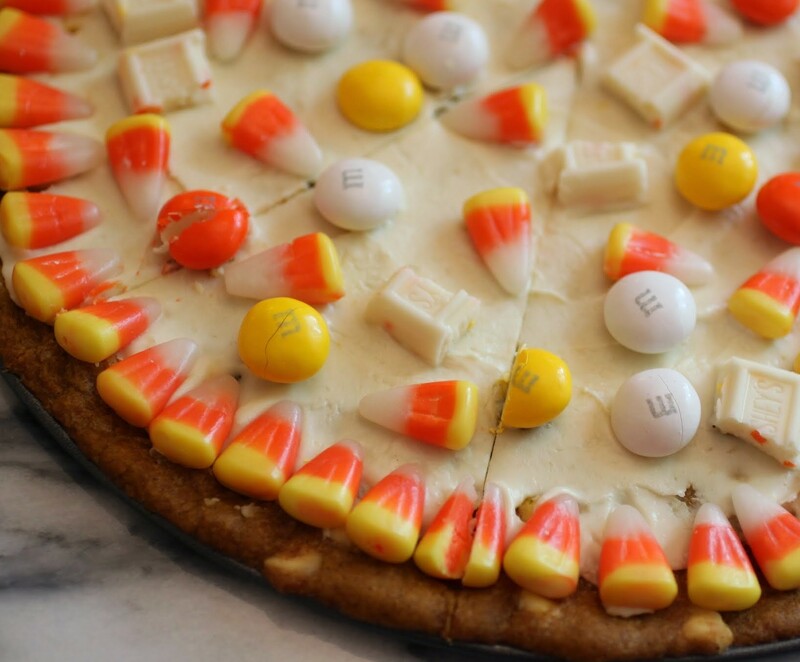 The texture is the best part, Gayle! Though I love the M & Ms, too. And the PB. Hard to resist these guys! 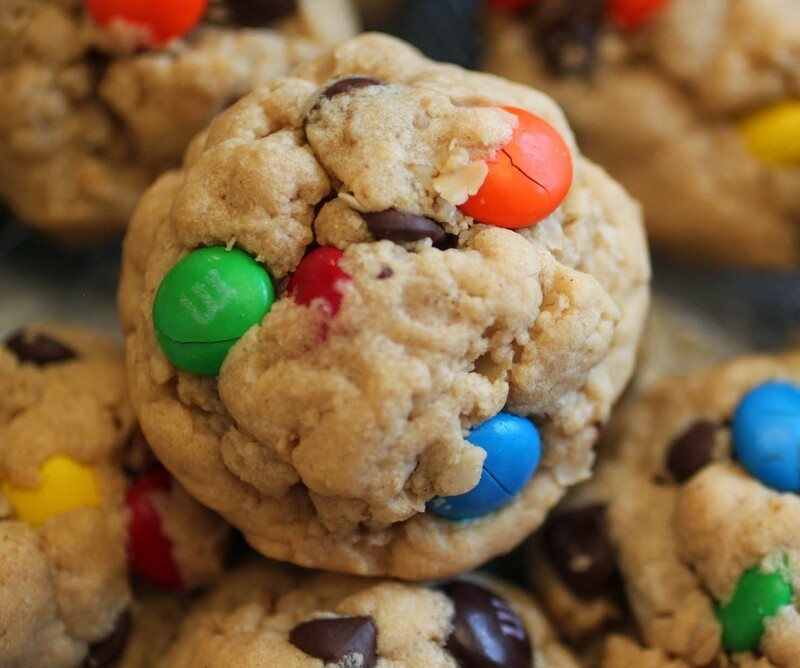 I love these monster cookies, great flavor and the M&Ms make them more festive and delicious! Relax? What’s that? Someday, Mira. Someday! Yum! 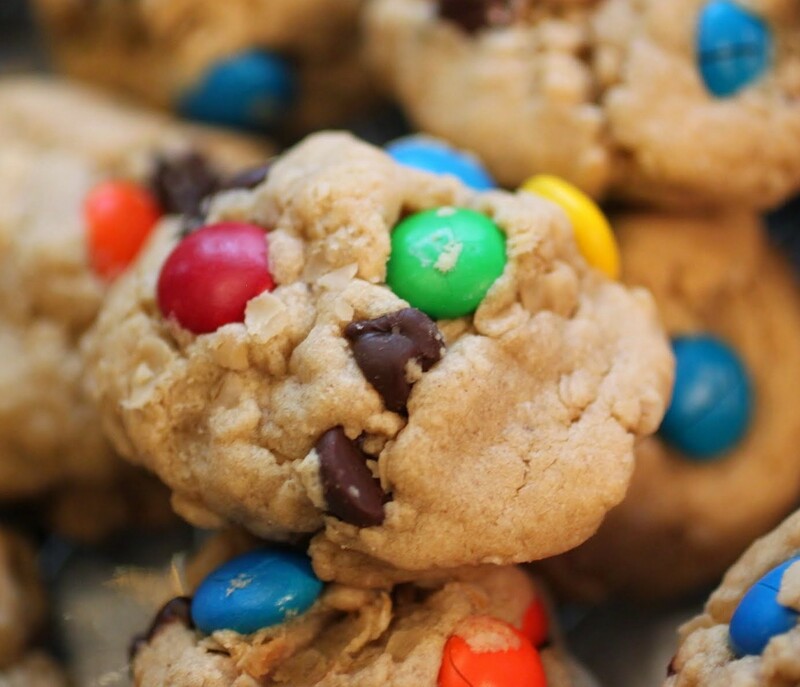 Monster cookies are always a hit, but I’ve actually never made them! Need to get on that, I’m sure my kids would love them just as much! Sounds like it was a great party! Sounds like you had a fun party, Mir! I can see why these cookies went so fast, they look delicious! I love oats in cookies too, these look like the perfect little treat. They did go fast. But they’re so easy to make, so I might be doing that tonight, Danielle! That is hilarious! Bless your heart! I bet your exhausted!! These cookies look fabulous though! Thanks so much, Annie! And yes, I’m beat. But that’s the price of partying! Kids are LOUD. I cannot deal with the decibel level sometimes, Mary Frances! And they can trash a totally clean house in seconds. It’s terrifying! I bet you are tired after the party Mir but sounds fun! The cookies look great! Happy Holidays! You too, Manali! I love those snowball cookies, by the way! Always a party over here, Ashley. Thanks!